Thank you for using BRANDO theme. 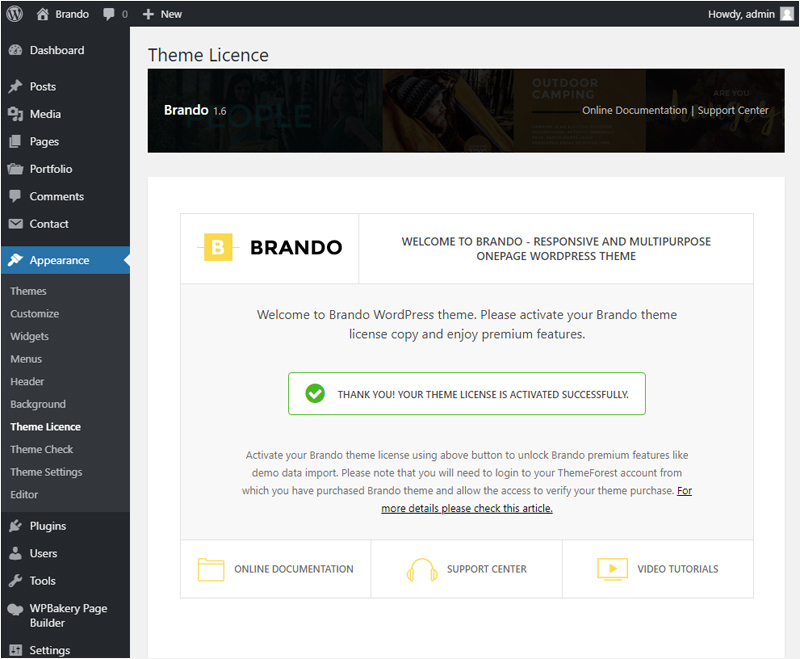 Please follow below steps to activate your BRANDO WordPress theme license copy and enjoy premium features like BRANDO add-on, page builder and demo data import. After install & activation of BRANDO WordPress theme, you will be redirected to welcome screen where you can see notification message to activate your BRANDO WordPress theme license to unlock premium features and plugins or you can use WordPress Admin > Appearance > Theme License option after install & activation of BRANDO WordPress theme. 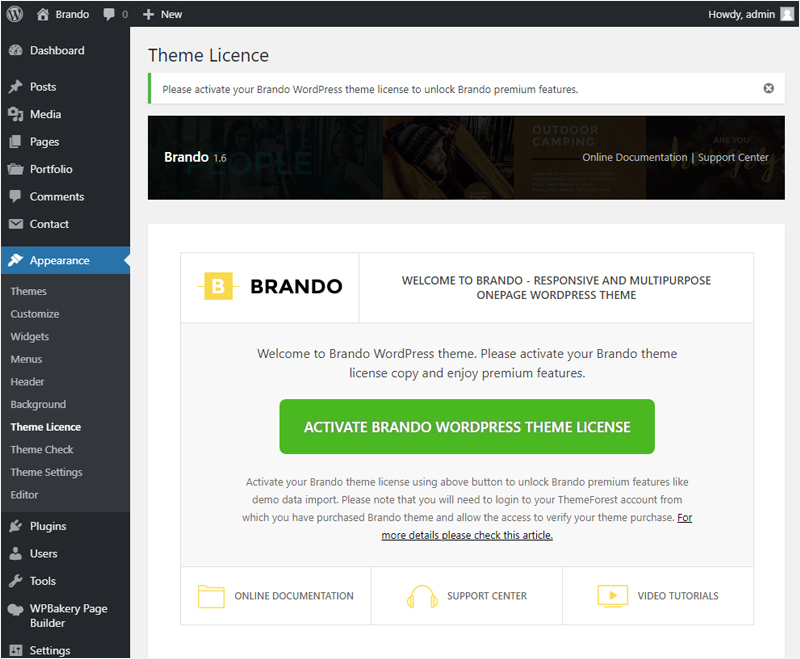 Click on “ACTIVATE BRANDO WORDPRESS THEME LICENSE” button. You will be redirected to Envato login page. Please login with Envato or Themeforest account to your ThemeForest account from which you have purchased BRANDO theme and allow the access to verify your theme purchase. 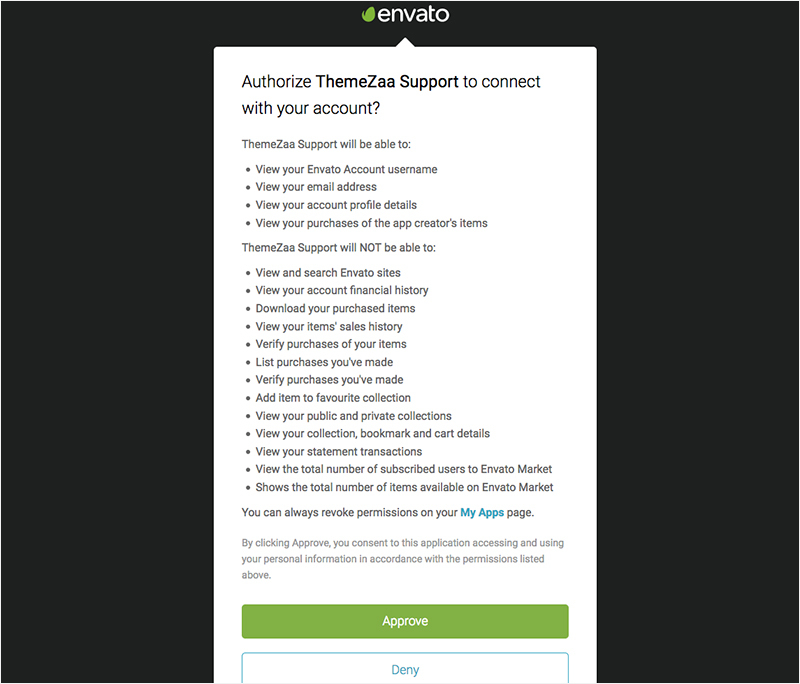 You can see Envato authorize popup here, click on approve button to allow Themezaa to activate your license copy. Your theme license is activated successfully. Now you can start installing and activate required & recommended plugins and import demo data.